Ever wonder what we sing about? Lester Ruth, Research Professor of Christian Worship at Duke Divinity School, decided to find out. Ruth examined the CCLI Top 25 lists for North America since those lists first appeared in 1989. He discovered that in the almost 25 years since, 100 songs had appeared in those lists. He then indexed the nouns and verbs in those songs for a comparative study he was doing between contemproary worship songs and evangelical hymns. You can read his paper (with this appendix) HERE. NOUNS: We address God generically– with no name– TWICE (8% of the songs) as often as we reference the Trinity (4% of the songs). VERBS: We sing about human action roughly 1.5 times more (562 times) than we sing about divine action (380 times). Our favorite verb for God? Save. Our favorite verb for us? Praise. But lest we get nostaligic about the “old hymns”, Ruth’s research was a comparative study of contemporary worship songs with Evangelical hymns, and the hymns (about 200 years old or so) don’t fare too much better. See his slides comparing verbs HERE and comparing nouns HERE. Are Worship Pastors Becoming Extinct? Over the past seven years, I have served as the Director of the New Life School of Worship, a 9-month program designed to train worship leaders for local churches. We believe that to effectively prepare our students for local church worship ministry they need to be trained in more than music. They need to be grounded in theology, familiar with church history, and responsible with their handling of the Scriptures. Moreover, they need to learn what it means to be a pastor: to shepherd the people under their care. But it seems that some churches aren't looking for that. They would prefer a musician who can lead the "singing", oversee the tech team, and produce recordings of their original songs. None of these are bad expectations, of course. But are we looking for these trade skills at the expense of other, more essential pastoral qualities? 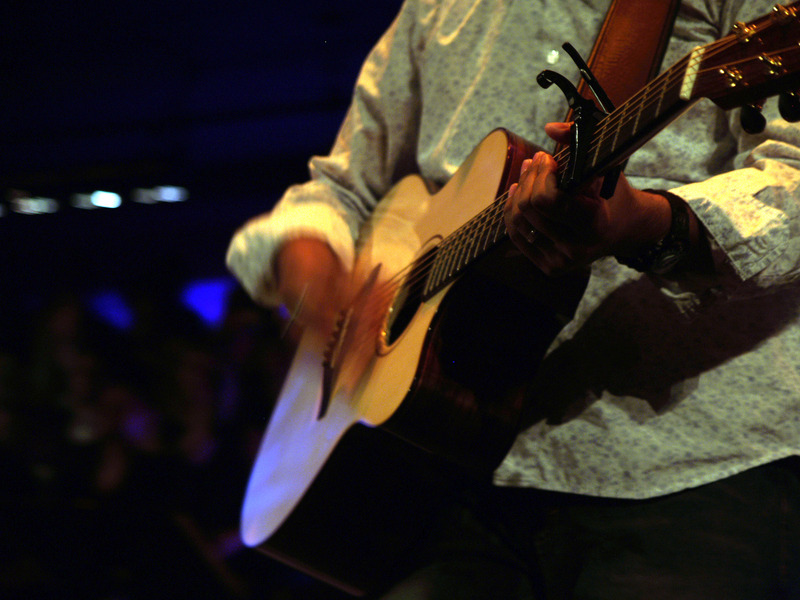 Are worship leaders simply highly skilled technicians who have a "steady gig" at a church? Today's worship leader may spend more time with his Macbook than with a real book. She may be more familiar with GarageBand than the people in her band. He may be better versed with directing the choir than providing spiritual direction. Of course, the trade side of being a worship leader and the pastoral side are not mutually exclusive. A person can be good at Pro Tools and at pastoring the people on his team. The trouble is we've lost the sacredness of the pastoral vocation. Any person who says their core role is to pray, study, and provide spiritual direction is not as "useful" to the corporation we call church. What else can you do? we ask. Then we proceed to fill so much of their time time with scheduling bands, arranging music, and working with the latest recording software that they are no longer doing any pastoral work. Musicians and singers become cogs in a wheel, things we use to fill slots. True, the administration needs to be done. And yes, musical excellence is valuable. But at what price? Ross Parsley, the long-time worship pastor here at New Life, is fond of saying that music ministry is not about music; it's about people. Worship ministry is first a sort of a "helps" ministry that serves the Body of Christ. But more to the point, it is an excuse for us to connect with one another. Music is the table we gather around, the place where we see each other face to face, and then learn how to walk alongside one another in this life of faith. Perhaps the question every church who hires a worship pastor– and every aspiring worship pastor– should answer is this: What will Jesus ask us about: the music we produced, the services we programmed? Or the people we pastored, the sheep we fed? Take time today and think about the people on your team. Pray for them. Pick up the phone and call them. Break bread with them. Talk to them about more than the setlist. Remember your calling as a worship pastor, not a music program manager. Clear some of the clutter from your week. Maybe it's time to appoint others to do the tasks that are keeping you from your role as a shepherd. You have never met a mere mortal. Our music will not last forever; these people will. There is a myth about creativity that will surface in almost every conversation about the subject. It may not be expressed in quite the same way; it isn't even always said. But at the bottom of almost every discussion on creativity is the belief that creativity is about authenticity, it is about being unique, being different, being an individual. When a person does "what no one has ever done before", she is being creative. When a person copies or incorporates ideas or methods that have been used before, he is being dull and uncreative. Ex nihilo is the Latin phrase the Church used to explain that when God made the world, He didn't have any starting materials. He made it all from scratch. Out of nothing. Every creative person thereafter has been building with His lumber. We are, as it were, painting with a fixed palette. All our so-called inventors are not making new things; they are taking existing things and combining them in such a way as to bring new possibilities to our world. A musician is working with a finite amount of notes. In Western composition, 12 to be exact. In Eastern melodies, intervals "within the cracks of the piano keys" are acceptable, but even then, the possibilities run out. Every dye ever made reflects a color God first sprayed in our universe. Even in our most creative work, when we join with God to co-create life, we are not creating something out of nothing. 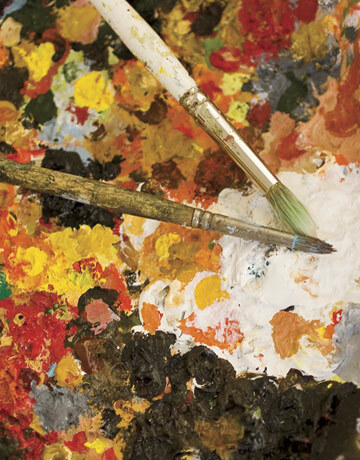 The building blocks of art are ancient. 2. Imitation is an important part of creativity. OK, so not much room for disagreement on the first point. But here's is where things get a little dicey. No one who truly aspires to be creative cares to admit the amount of imitation they've engaged in. I recently went with my wife and Rob and Sarah Stennett to hear the award-winning short story writer Tobias Wolff do some readings at Colorado College. He talked about how in virtually every field of art imitation was an acceptable form of learning. Painters might begin by sitting in front of a Monet and trying to recreate it. Musicians will mimic riffs from Hendrix or Armstrong or Coltrain. But writers are somehow disdained for writing stories that imitate Hemingway or Fitzgerald. Why the double standard? Why not come out and admit that imitation is how we learn to create, in all fields? Imitation places us inside the head of an artist, making us see the notes they chose and the ones they ignored, the colors they blended and the combinations they used. It lets us peer at the world through their eyes as we try to re-create their "creation". Since none of us are making new "materials", we can learn about how to rightly combine these materials from the works of others. We learn to talk, to put words together, by being spoken to; we learn to pray by praying the prayers of Scripture; and we learn to create by re-creating the works of others. 3. Creativity is a combination of "theme" and "variation". OK, so if we're not creating ex nihilo, and if imitation is part of the creative process, then where is the individuality, the uniqueness? It is in the way we reference the "theme" and the way we vary from it. What this means, then, is that the unwillingness to include any part of "theme" or a norm in our work means that we've lost any point of reference for others. It may be "creative", but it is isolated and esoteric. Let's think of it this way: a language that is truly unique is also utterly useless; it is a language known and understood only by you. It is gibberish. So, any art that refuses the inclusion of "theme" or even fragments of a template is an art that is individualized to the extreme. No one else can participate in it or benefit from it or be inspired by it. But if what we create is to have some sort of "public service" to it (the word "liturgy" comes from a Greek word that means a civic or public service)– and not all art has to– it must be willing to submit to "theme and variation." If you think about it, human beings are unique not in an absolute sense, but we are unique in the way themes and variations of those themes combine in us. We all have themes of God's image in us; we are sullied by the familiar stains of sin. Yet there are infinite (?) variations of God's nature and sin's defacement in each of us. And it is those combinations that make us unique. This may be disappointing to have to admit that we are more like each other than we had supposed, that no one is truly all that different. Even more deflating is the realization that if we all sought to be "extraordinary", no one would be extraordinary since extraordinary would then be the new "ordinary." We find ourselves, then, pursuing creativity like a teenager wanting to be different: we want to be different, just like everyone else. And so we are forced finally to admit that we are all more similar than different. We are living displays of theme and variation. And so is everything we make.